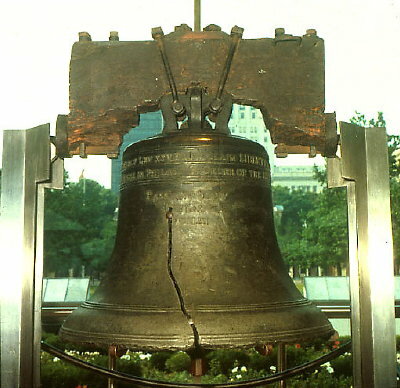 The Liberty Bell was originally hung in 1751, in the steeple of the State House, which is now as Independence Hall (Philadelphia). The bell was hung to commemorate the 50-year anniversary of William Penn's 1701 Charter of Privileges. The bell cracked on Washington's birthday in 1846. On every Fourth of July, the Liberty Bell is rung (symbolically tapped) in unison with thousands of bells across the nation.